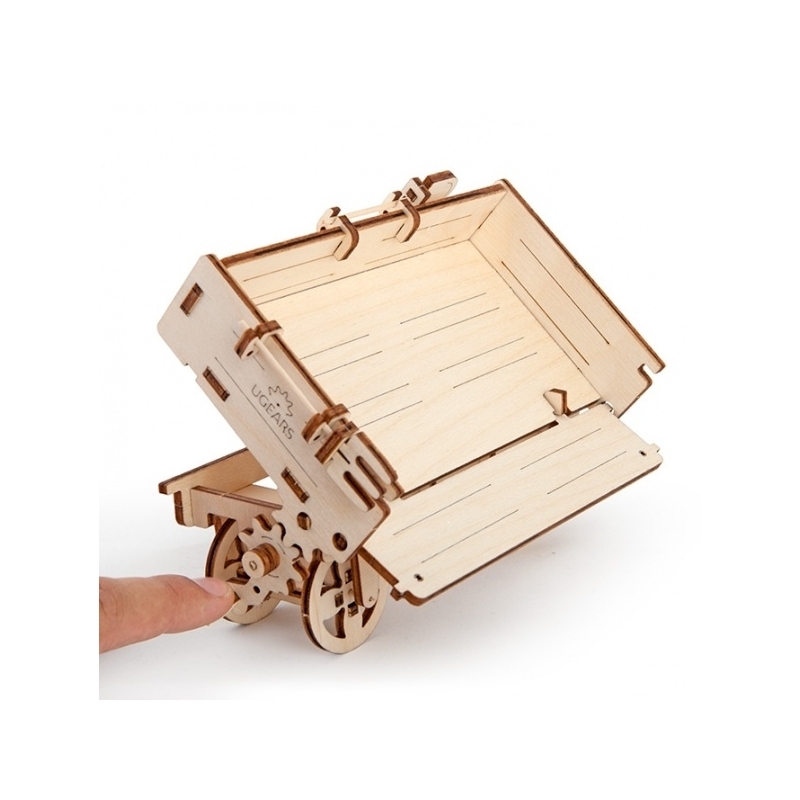 • 3D SELF PROPELLED MODEL TRAILER - this Mechanical 3d Puzzle Tractor Trailer by UGEARS will please all fans of puzzles and handicrafts. Best and different models only. 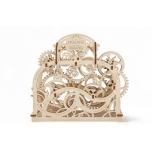 Build with UGEARS! 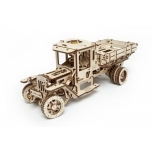 • ADDITION TO THE TRACTOR - we're really glad to present you this addition to our Tractor model. We are trying to expand our range and create new addition models to already existing and successful. • PREMIUM QUALITY - we really care about the quality of our products, and always offer you the best one. All our models are produced according to all quality&safe standards and are made with 100% natural non-toxic plywood! • FAMILY PROJECT - assembling our models is the best way to spend time with your children on a rainy day, learn something new together and become a part of one big family building team. Handmade toys are always the best and recall memories about that weekend you made it. Every self-respecting tractor should have its own farm trailer. A special lever opens a side of the Trailer's bed for loading or unloading. It also has everything a farmer needs at hand: a fork, a shovel and even a broom and a small bucket hanging underneath the base. Each Trailer is complete with a hook interface which connects it to the tractor. ∙ Quick and handy operation - a special lever can be used to turn the trailer's side upside down. ∙ Realistic design - we have incorporated items required by a good handyman such as a pitchfork, shovel, bucket with screws hanging on a hook, and broom under the truck bed. ∙ A hook unit allows you to seamlessly attach the Trailer to the Tractor - no muss, no fuss! 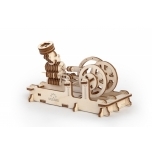 ∙ Unlike similar projects, this mechanical model isn't messy because there is no need for glue to hold the components together - this aspect adds to the excitement while assembling the gadget. 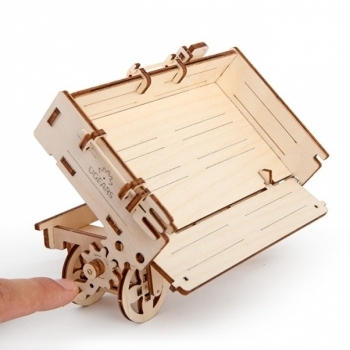 ∙ Self-propelled kits don't need electricity or special tools during setup. ∙ The Trailer is aesthetically pleasing to the eye and doubles as a decorative element in your home. Being made of plywood ensures the product is eco-friendly too. If you don't have the Tractor model yet, buy it with the Trailer so you can complete the set. 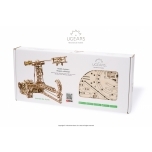 In case you intend to purchase it as a gift, it looks better when presented as a package rather than individual wooden mechanical kits - it exactly like constructing a miniature of its bigger version. Moreover, this is a versatile gift, which is suitable for both kids and grown-ups.